Near Area 51, Nevada, Extraterrestrial Highway. 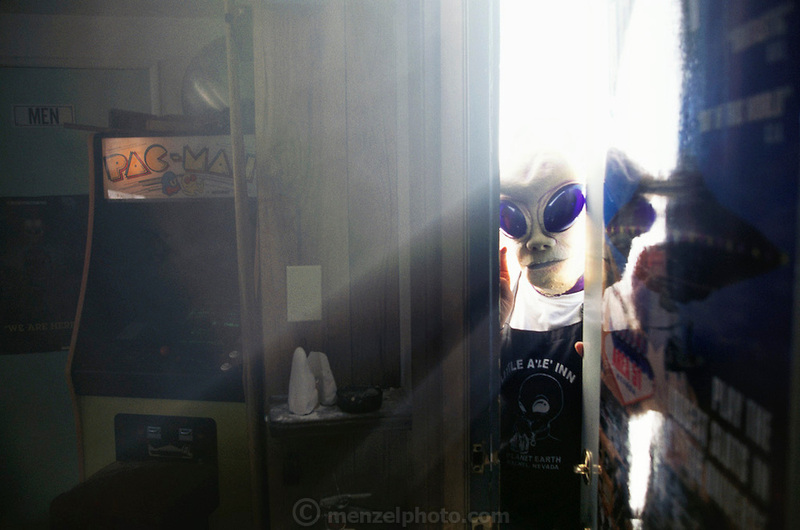 Rachel, Nevada, Bar, Jeanette Tholt wears an alien mask. "Little A'Le'Inn". (1999). Model Released.